6. The outer casing is molded by glass fiber reinforced unsaturated polyester resin. It has excellent performances such as beautiful shell corrosion resistance, antistatic and impact resistance and good thermal stability. 7. The explosion-proof and anti-corrosive components are directly stuck on the standard rail. The protrusions on the components and the grooves on the rails ensure the position of the built-in components is installed. The minimum center distance between the components and the components is 42 mm. 8, can be steel pipe or cable wiring. 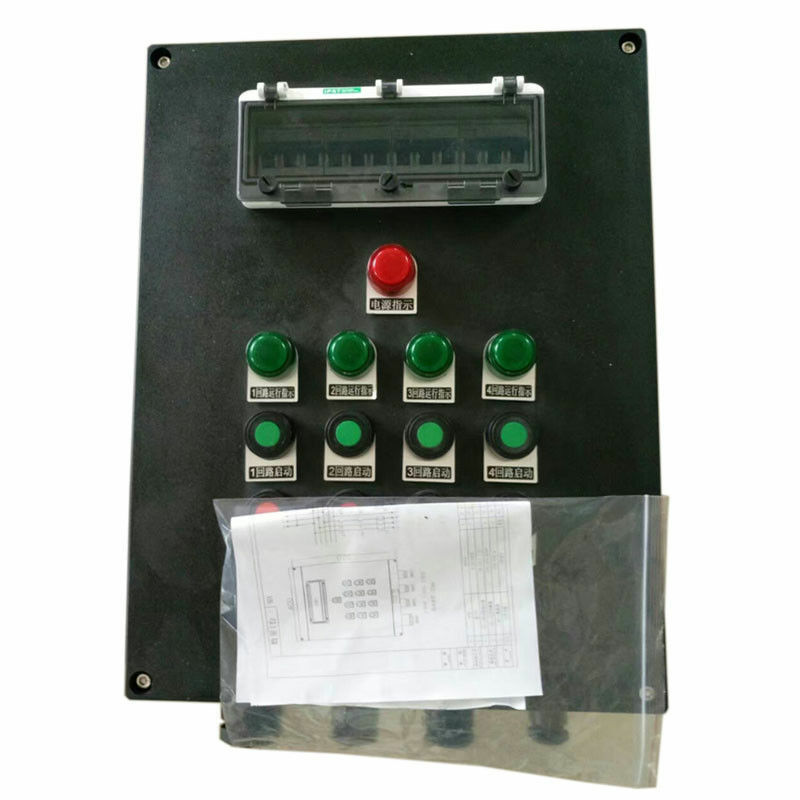 9, in line with GB3836-2000, IEC60079 standard requirements.